The Section 8 Program provides assistance for low-income individuals and families in the private rental market through the Housing Choice Voucher Program. Applicants and the persons listed on their applications - "families" - are issued Tenant-Based Vouchers (TBV). Voucher holders then select a unit from the private rental market, and rental assistance makes market rate housing affordable. Voucher holders are free to search for an apartment or rental home anywhere within Cayuga County (including the City of Auburn), but - if they do not live in Cayuga County at the time they receive the voucher - they must reside in Cayuga County for at least one year before porting to other counties with the voucher. Program participants normally pay between 30% and 40% of their monthly adjusted income towards rent and utilities. The Housing Assistance Payment covers the balance of the rent through a direct payment to the property owner. The Auburn Housing Authority also manages a Section 8 program, although it is specifically for the City of Auburn - not the whole of Cayuga County. 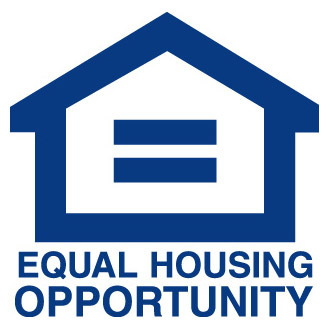 Eligibility for our Section 8 Housing Choice Voucher program is determined by income. Eligible families cannot exceed 50% of the area median income for Cayuga County for their family size. These limits are adjusted annually based on median income in Cayuga County and were last updated in June, 2018. If you meet the income standards, we encourage you to apply! Applications may be obtained at our 60 Clark Street location, and "in-person" is our preferred method of applying so that we may answer any questions that arise during the process. However, if stopping by our office is not an option, we may be able to mail an application to you. Simply contact us, and we'll do our best to get an application to you. Knowledge of amount of income for each member of the application, preferably in monthly standards, but weekly or yearly standards are also welcome. Knowledge of method of income for each member for each member of the application - i.e. wages, DSS, unemployment compensation, alimony, child support, etc. If you are approved, you will be added to the waitlist. When your name reaches the top of the waiting list we will meet with you and provide you with a rental voucher. The average applicant to Homsite's Section 8 Housing Choice Voucher Program experiences a wait of 3.5 years. If you are placed on the waitlist, you will be expected to report all changes to your application to Homsite at the time of the change. These changes include - but are not limited to - changes to income, method of income, the composition of the members on your application, your address, and your phone number. We may also contact you periodically via your mailing address or phone number to provide us with updated information to your application. You must complete these requested updates in order to remain on the waitlist. After your family has been issued a Housing Choice Voucher, you can search for an apartment that is decent, safe, and sanitary according to Housing Quality Standards (HQS) established by U.S. Department of Housing and Urban Development (HUD). When you have found a suitable unit and the owner has agreed to lease the unit to you under the Housing Choice Voucher Program, we will inspect the unit to make sure that it meets the HQS guidelines. After the unit passes HQS inspection and the rent has been approved, the landlord and the tenant will enter into a lease. Please contact us if you have any questions, or would like to apply for the program.